A few months ago, my wonderful daughter, Chloe Findlay-Harder, bought me some exquisite vintage chip carved frames in our favorite thrift shop. 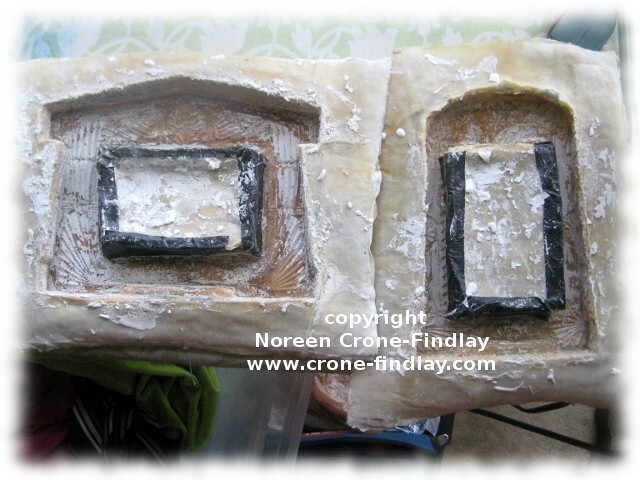 Cast plaster of paris to make many frames! I’ve had a few fails along the way, but…. 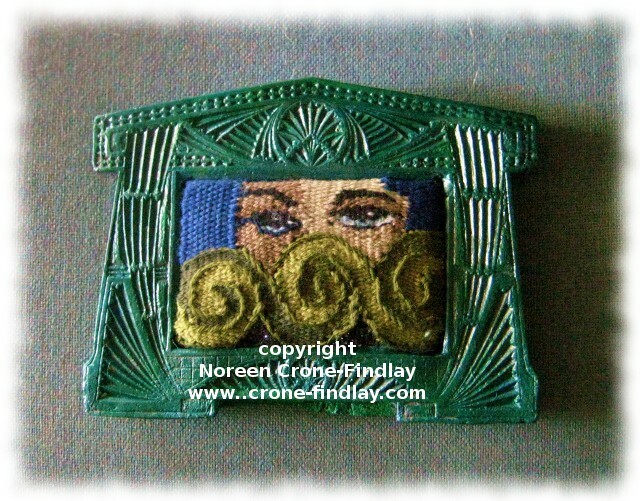 I finished the first tiny tapestry (it’s 3 inches by 5 inches) – I posted about it yesterday. I loved weaving her soooooooooooooooo much that I asked my darlin’ husband to make me a teeny tiny copper pipe loom for weaving the rest of the series. Bless his heart, he built me a poifeck one, but more about that later…. Anyhow, with trepidation, I painted many layers of paint onto one of the frames, added some woven band to the top and bottom and worked out a system that will keep the tiny tapestry secured in the frame. 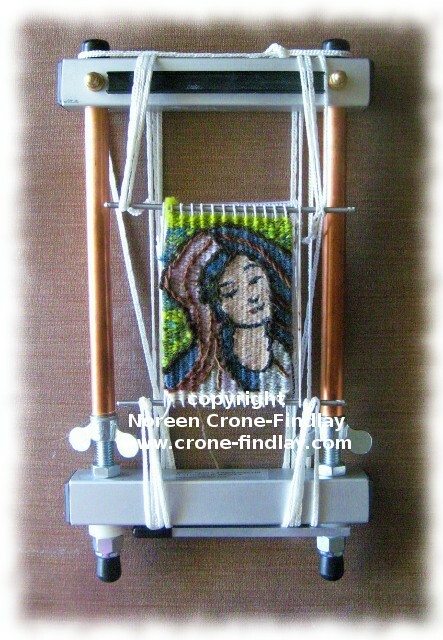 ‘Woven Women: May Day’ in her frame. 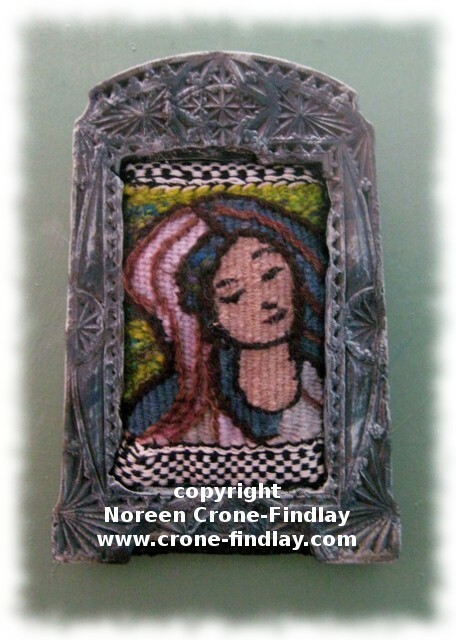 (The frame measures about 8 inches/20 cm tall by 6 inches/15 cm wide). The photo goobered on me and doesn’t show the paint accurately. Ah, well, c’est la vie…. I LOVE LOVE LOVE weaving these tiny tapestries more than words can say! The only problem is that I love working on the tiny tapestries so much, that it’s hard for me to go back to weaving on a larger scale! oops….